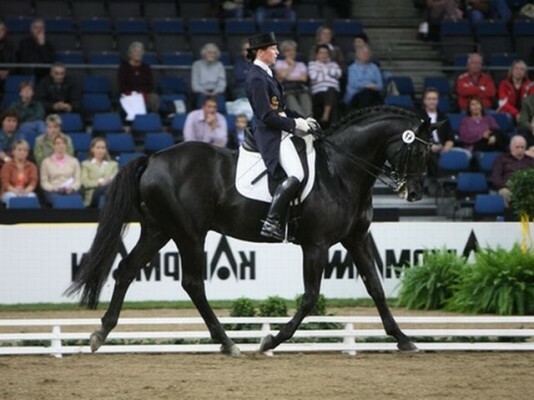 By Rubinstein I out of a Lord Liberty mare, Rubicell won dressage classes at Intermediare I, and went to the European Juniors in 2009. 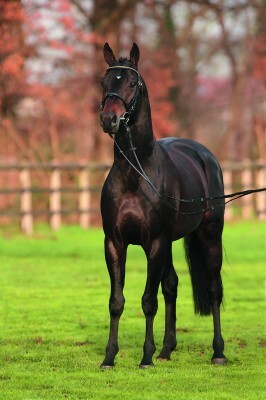 As a 5 and 6 year old Rubicell went to the Bundeschampionat in both jumping and dressage. ..
Rubicell not only was he successful in competition, he was also exceptionally successful as a breeding stallion. In the evaluation of his first crop of off-spring under saddle, Rubicell was the sire with the highest ranking offspring!!! Earning him the Main Premium Stallion title. It is most noteworthy that the nine offspring representing him had an average score of 8.0 for rideability! He also had 3 offspring in the Final of the German Championships at Tubingen in 2005 Rubicell is an S level.